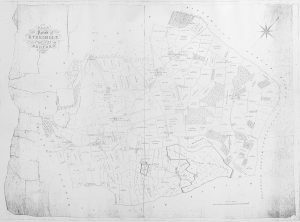 The 1838 Charity Map is a copy of the Standidge 1838 map of the village, marked up with the lands owned by the Eversholt Charity. It is not at all clear what date the marked-up map represents. It could be any time after 1838. This map was among many lent by Anna Blomfield – Thank You, Anna. Anna’s ancestor was chair of the charity and must have kept a copy. The field numbers marked up on this map are not the same numbers as those on the Tithe Map which is a different markup of the same Standidge map. So, the Standidge original probably has no field numbers, implying that somehwere there is a field book for each of these maps, with details of who owns what. If anyone knows where the field book is, please leave a message below. The field owners on this map seem to be printed on the original Standidge map. That doesn’t mean that the fields outlined as belonging to the charity were added at that date, the outline marking could have been later. The map here is pasted together from a number of images, in an attempt to provide adequate resolution. That makes a 10Mbyte jpeg file. There’s a reduced-resolution version if that’s too big. 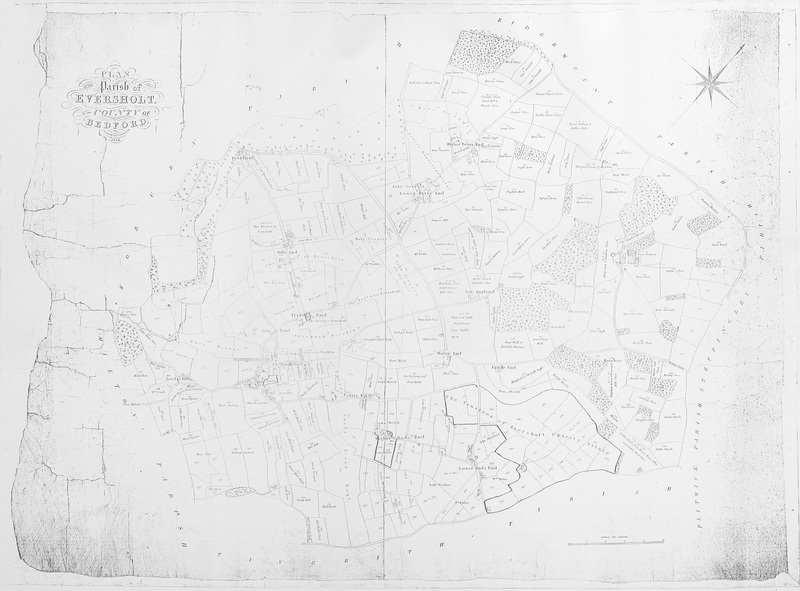 The copy that was photographed was itself a monochrome copy of the original marked-up map. Probably, the original had colour, and showed the markings better. Click for a big version.